Gotta love mothers-in-law (and parents in general) for sending you down the rabbit hole with email forwards. 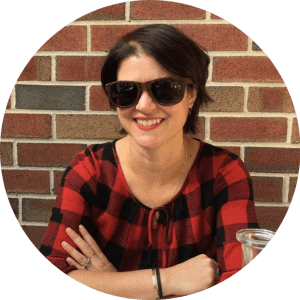 But leave it to my mother-in-law to know how her food-obsessed daugher-in-law’s mind works and, in lieu of adorable cats and puppies napping together, pass along a round-up of America’s most bizarre state foods. While it was Utah’s inexplicable official choice of Jell-O (yes, I’m well aware there’s always room for Jell-O) that caught her eye, my astute MIL Joan had a very important question: “Does NJ have a state food? Why would any state have one?” Though my adopted home base of New Jersey boasts a state fruit (the blueberry) and a state fish (the brook trout), it’s perplexing that a place with such a rich culinary palate should be bereft of a state junk food, at least. And if it had one, New Jersey’s state food should be Taylor ham. Now, I’m not trying to pick sides with that nomenclature; though it’s better known in South Jersey as “pork roll,” I live in Northern Jersey and so have heard it referred to as “Taylor ham” for the majority of my years in residence here. Thank Trenton’s own John Taylor, who invented this salty tubed meat in the late 1800s, for the confusion. He didn’t know that 20th-century packaging designers would slap a “Taylor pork roll” label on his product and unwittingly start yet another regional North/South Jersey feud. All he probably knew was that he was developing a seasoned, cured, indestructible ham-ish product that happened to go pretty well with a post-Revolutionary War hangover. 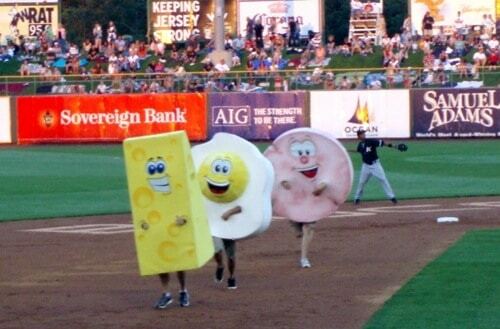 It’s also a combination so beloved in New Jersey that the Lakewood BlueClaws, a South Jersey minor league baseball team, have immortalized it in the traditional between-innings mascot race. Take that, you fancy Milwaukee Brewers and your racing sausages! You Pittsburgh Pirates and your speedy pierogies! You Kansas City Royals and your fleet of hot dog condiments! 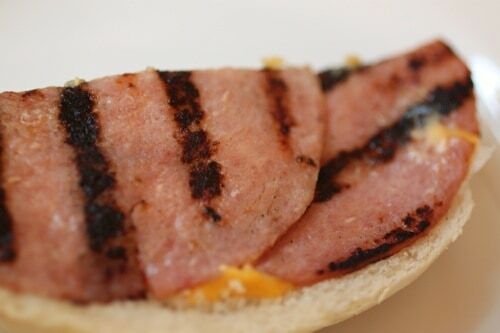 Though often compared to Canadian bacon, Taylor ham can be sliced thin, thinner than the piece of questionable-origin meat on your Egg McMuffin, and then becomes closer in spirit to that great western Pennsylvanian deli meat, chipped ham. Or, when cut thick, would probably win the heart of a Hawaiian jonesing for a piece of Spam. See? No matter where you’re from, there’s a ham-based foodstuff that you’ll think back fondly on someday. For a non-native like myself, the best part of Taylor ham consumption comes from the buildup of fat and flavors that can only accumulate on a diner/deli griddle and adhere to the meat. Three or four small slits cutting in like points of a compass around the edge of each disc are key in preventing the ham from curling and puffing when it hits the searing flattop, maximizing its potential for a crispy charred exterior. 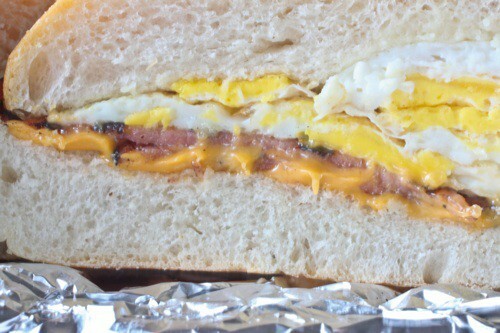 Devoured on a Kaiser roll with egg and cheese, it’s a lead-gut breakfast that’s oddly satisfying, a meal that John Taylor would likely find to be one for the ages. “It’s one of those foods that I always imagined existed across America, not just in our area,” Canfora Lupo muses, but to me, it’s always a little more exciting to come across these regional foods in their natural habitat. If it weren’t so emblematic of a particular era/area, would it still be as special?